Daisy de Melker was born on June 1, 1886, in Seven Fountains, Eastern Cape Province, South Africa and was given the birth name, Daisy Hancorn-Smith. 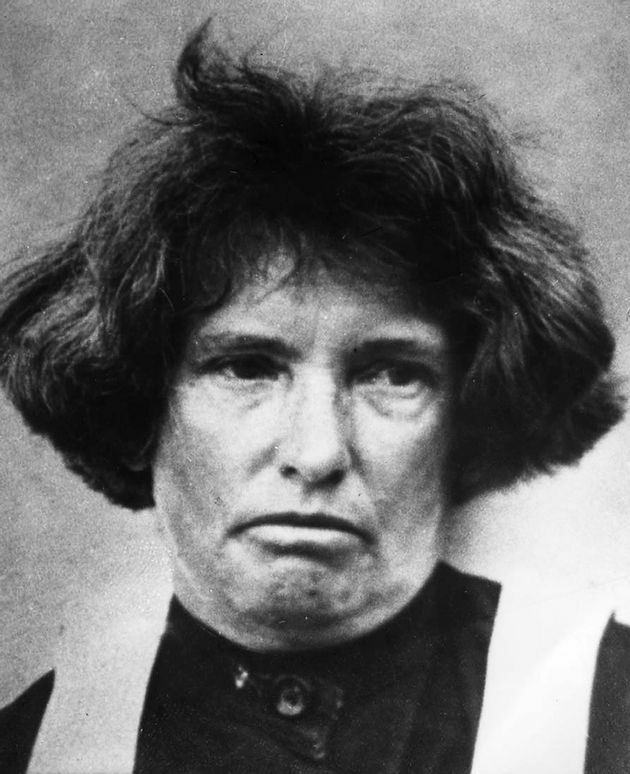 She was arrested in April 1932 for murdering three people between 1923 - 1932 and was sentenced to the Capital punishment which is execution by hanging. Daisy was hung on December 30, 1932, in Pretoria, South Africa where she died at the age of 46. Daisy is the second female to be hanged in South Africa. Daisy Louisa C. De Melker was known as Daisy de Melker and was a trained nurse who poisoned two of her husbands with strychnine so that she could collect their life insurance money. She also murdered her son, but the reason behind her son"s death is unclear. She was only convicted of one murder which was her son although she confessed to three murder because her husband"s being poisoned was not proven in court. Daisy had ten siblings and moved to Bulawayo, Rhodesia (now Zimbabwe) at the age of twelve to live with her father and two brothers. She attended or became a boarder at the Good Hope Seminary School in Cape Town about three years later. Daisy returned to her hometown, Rhodesia in 1903, but did not take long to return to South Africa where she enrolled at the Berea Nursing Home in Durban. Daisy met civil servant, Bert Fuller in the Native Affairs Department at Broken Hill while visiting Rhodesia and fell deeply in love with him. Daisy and Bert were supposed to get marry in October 1907, but Bert died from blackwater fever on their wedding day with Daisy at his bedside. Bert left a will with Daisy inheriting/getting/receiving ?100. Twenty-two-year-old Daisy married a plumber, William Alfred Cowle who was 36-years old in Johannesburg in March 1909. Daisy and William had five children, but four of the children died. Their twin babies died in infancy whereas their third child died from having an abscess on the liver and their fourth child died at the age of 15 months from convulsions and bowel trouble. The couple welcomes their fifth child, Rhodes Cecil, in June 1911 and Rhodes is their only surviving child. January 11, 1923: William Cowle was Daisy"s first husband. William fell ill after taking Epsom salt that was prepared by Daisy. William was seen by doctors, but the first doctor prescribed a bromide mixture because he did not think William"s case/symptoms were severe for further inquiry. William symptoms did not get better, and his health started to deteriorate rapidly after the doctor left, so Daisy asked the neighbors for help and called another doctor because William was in severe pain. William screamed in pain when anyone touched him while he was foaming at the mouth and blue in the face - he died shortly after. The second doctor refused to sign William"s death certificate because he suspected that William was poisoned with strychnine. District Surgeon, Dr. Fergus concluded that William"s death was a result of chronic nephritis and cerebral hemorrhage. Daisy was the sole beneficiary of William"s will and inherited ?1795. Robert Sproat was Daisy"s second husband. Daisy married at the age of thirty-six to plumber Robert Sproat exactly three years after her first husband"s death. October 1927: Robert Sproat became severely ill suffering from painful muscle spasms that are similar to William Cowle"s symptoms, but Robert survived/recovered. Robert became seriously ill once again a few weeks later while having a beer with his wife and stepson, Rhodes there. November 6, 1927: Robert died Dr. Mallinick certified that Robert died from rteriosclerosis and cerebral hemorrhage and no autopsy were performed. Daisy inherited over ?4000, plus ?560 paid by Robert"s pension fund after Robert died. January 21, 1931: Daisy married widower, Sydney Clarence de Melker who was also a plumber. She murdered Rhodes Cecil Cowle not too long after for reasons unknown to us. February 1932: Daisy went to Turffontein from Germiston on the East Rand to buy arsenic from a chemist and said that she needed it to kill her sick cat. She used her former last name, Sprout. March 2, 1932: Daisy gave Rhodes coffee in a thermos which she prepared for him, and he fell ill shortly after drinking the coffee at work. Rhodes" fellow worker, James Webster drank a little of the coffee and became violently sick, but he managed to recover a few days later. March 5, 1932: Rhodes was 20-year-old when he died during midday at home. Rhodes" postmortem revealed that he died from cerebral malaria and was buried on March 6th at New Brixton cemetery. April 1, 1932: Daisy received ?100 from Rhodes" life insurance policy. It is speculated that Rhodes was supposed to receive an inheritance upon turning 21-years-old and he expected more than Daisy could/want to give him. It is also said that Rhodes did not show Daisy any compassion throughout the years and she had pampered him throughout his life. April 15, 1932: Robert Sprout"s brother, William Sprout became suspicious of Daisy and informed authorities who obtained a court order to exhume Rhodes Cowle, Robert Sproat, and William Cowle"s body. Daisy"s second husband, Robert Sprout younger brother, William Sprout accused Daisy of killing his brother because William wanted Robert"s will to favor him and not Daisy. William Sprout won the case which was going on the same time as Daisy"s murder trial/case and was awarded costs. Rhodes Cowle was the first body to be removed, and his corpse was in an unusually good state of preservation which happens when there is a significant amount of arsenic in the body. A forensic pathologist found isolate traces of arsenic in the viscera, backbone, and hair. There was also traces of strychnine in each of the men"s vertebrae, and their bones had a pinkish discoloration which means they might have had taken pink strychnine. Arsenic was also found in Rhodes co-worker James Webster"s hair and fingernails. Daisy was arrested about a week later for the murder of all three men, and her trial lasted thirty days. Daisy did not have enough money to pay all of her legal expenses and had to hock all her assets resulting in her being buried in a prison pauper"s grave after she was hanged on December 30, 1932, at the age of 46. Daisy de Melker serial killer is a male serial killer. Daisy Louisa C. De Melker is a male serial killer.